Super friendly staff. Thanks again to the lady and guy at the reception for their perfect assistance. 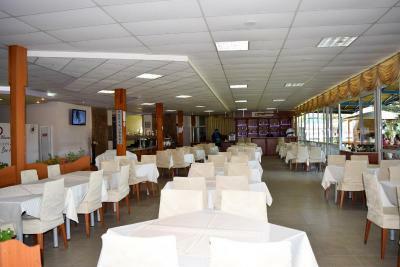 All restaurants, clubs are in a walking distance. 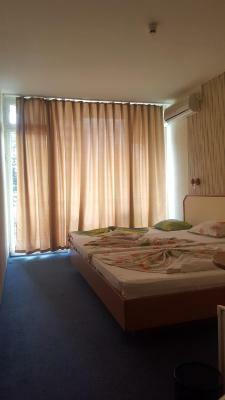 Тhe bathroom did not meet my expectations (there were no curtains). Poor Internet connection. Great value hotel. Don't expect more than what you pay for. 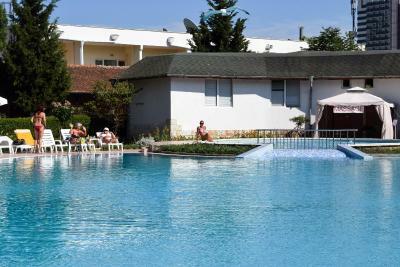 The pool is really nice and the staff is very friendly and helpful. OK, since it was cheap. The outside pool area is nice. Excellent staff. 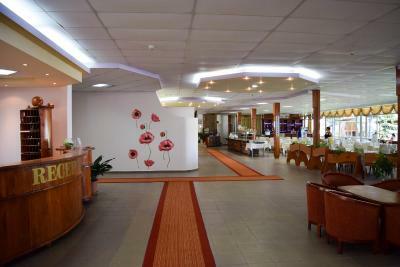 The hotel is clean and close both to the center and the sea. The breakfast was great. We will come back for sure. 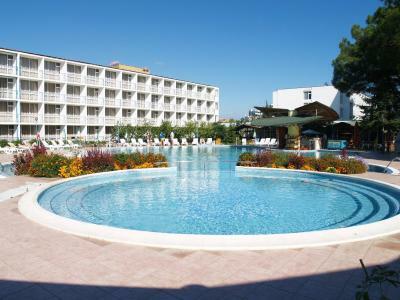 The pool was outstanding, the best thing in this hotel without a doubt. 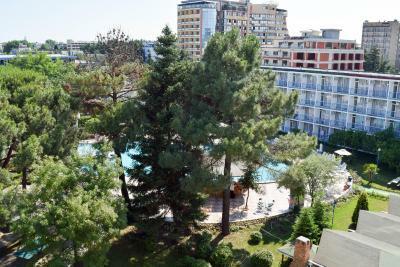 Pretty good location, not noisy at all but still close to restaurants, bars and shopping. Also not far from the beach. Nice pool area. Small and outdated room, but clean and functional. AC worked better than expected! Small shop selling basic necessities in the lobby. OK hotel for budget traveling, met my expectations but didn't exceed them. 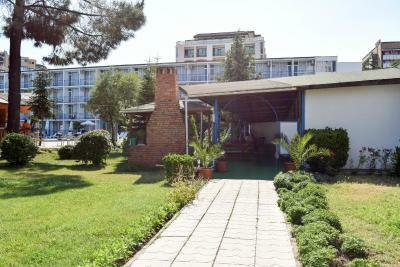 Balaton Hotel This rating is a reflection of how the property compares to the industry standard when it comes to price, facilities and services available. It's based on a self-evaluation by the property. Use this rating to help choose your stay! 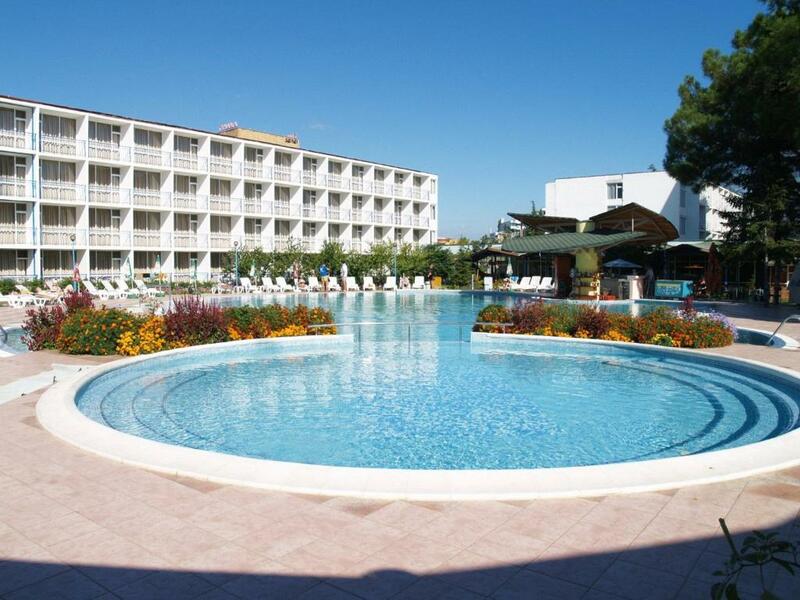 One of our top picks in Sunny Beach.Balaton Hotel has rooms with private balcony and an outdoor pool complex, only 500 feet from the sand dunes at Sunny Beach. Free Wi-Fi access is available in the lobby. 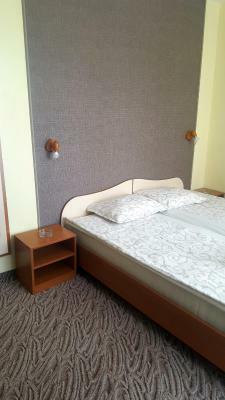 All rooms at Hotel Balaton come with private bathroom, cable TV and refrigerator. Some feature individually controlled air conditioning. 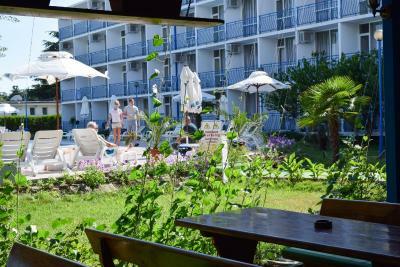 The outdoor pool area, which is surrounded by a beautiful garden, includes a large round pool with bar, a children’s pool and a sunbathing area. 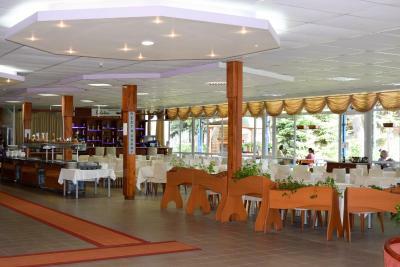 There is also a restaurant, where buffet breakfast is served daily, and it includes an outdoor terrace. 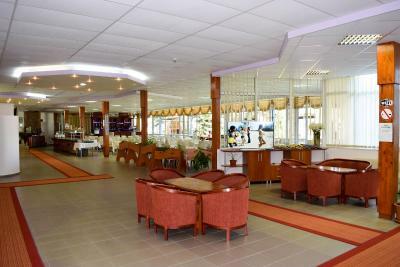 Balaton Hotel also has car rental services and currency exchange. 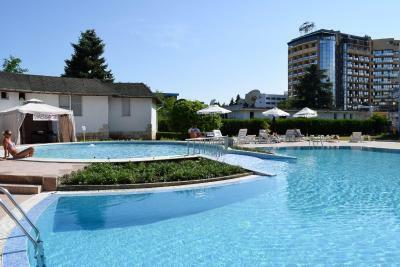 When would you like to stay at Balaton Hotel? 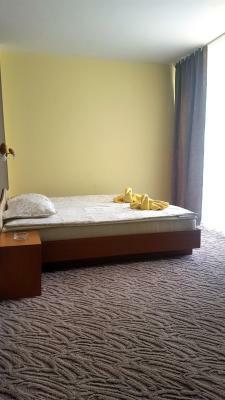 This room features a TV, fridge and a furnished balcony. 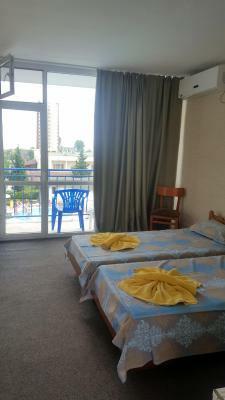 Air-conditioned room with a TV, fridge and a furnished balcony. 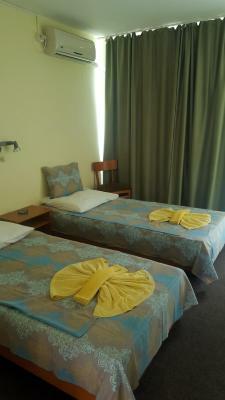 House Rules Balaton Hotel takes special requests – add in the next step! Balaton Hotel accepts these cards and reserves the right to temporarily hold an amount prior to arrival. Hotel was perfect.. Nothing to complain about! 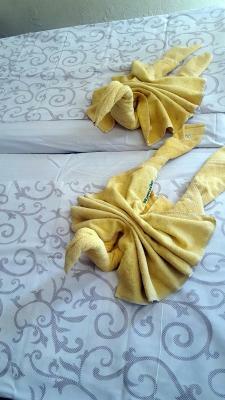 When I got a room with double bed,I think I will have on that bed double bed linen, but I was given single bed linen. Staff was very friendly and location was OK. The room didn't look clean to what it was expected for a hotel, i.e. found a long hair on the counter desk of the room, no less than 5 spiders on the walls... Room lighting was not enough (even one of the lightbulbs on the head of the bed was not working). 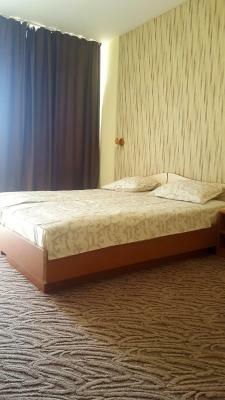 The double bed advertised was rather two single beds put together with a big gap where the frames would join, so made difficult to sleep with my couple. Some guests running and slamming doors on the corridor after midnight time. The selfservice coffee machine seemed to be overwhelmed during breakfast time, as one broke down during service. Shortgage of mugs for the coffee/tea machine, had to be waiting for a while until some used ones were washed. Juice machine didn't have orange juice, only apple juice tap seemed to be working. Overall, the breakfast experience seemed very disorganized. Very small and old room. The food was really tasteless and mostly fried, not many options. No vegetarian options. The furniture was old and damaged. 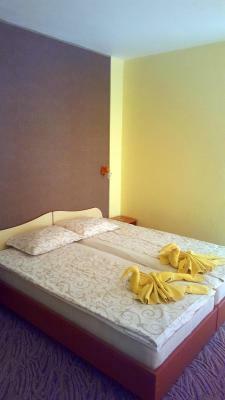 The double bed was 2 single beds put together. It wasn't really clean. The bathroom smelled bad. the same breakfast everyday, broken sanitary installation in bathroom. They clean around with a broom when peoples eat breakfast. 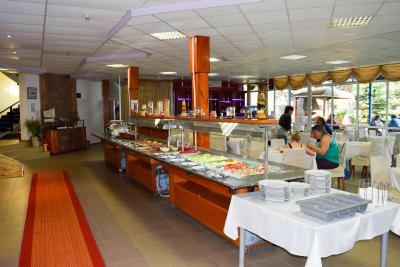 All inclusive: the food was very boring and quite tasteless. The ingredients seemed fresh and nice, but everything was overcooked and unseasoned... Drinks were ok. Two sets of towels per person would have been nice, one for the pool and one for showering. Also, we had a total of 3 outlets in our rooms - including the ones the fridge and TV were connected to - which isn't enough for two people. Even though the two hotel buildings were older, everything had been taken care of. Only the newest hotel building had an elevator. In two older, 4 floors there was no lift. 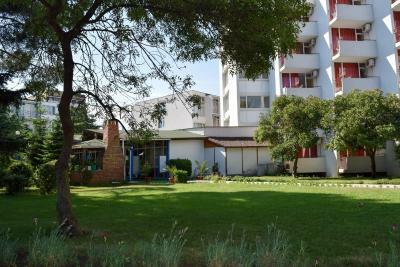 All the rooms had functional air conditioning, fridge, balcony and good beds. The balconies also had drying racks. There was a reception, open 24/7 in the lobby. In the lobby was safety boxes (extra charge), money exchange and a shop. Breakfast was continental and plentiful, as did other meals. All inclusive service is possible. 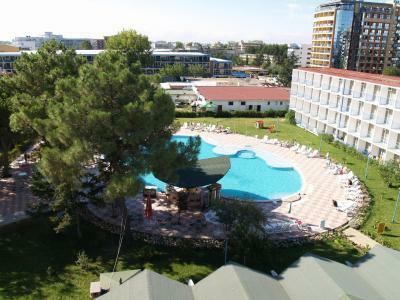 Pool area was well maintained. 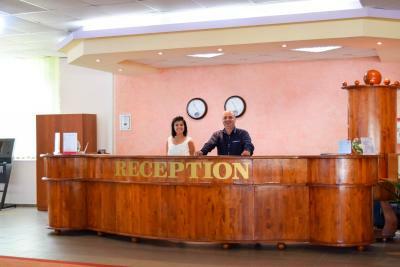 Friendly staff and good service are important factors in this hotel. 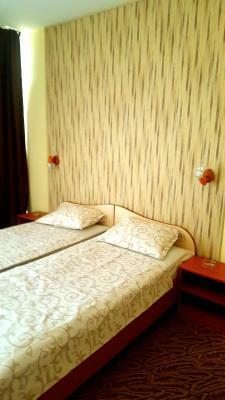 Guests can enjoy very well at this hotel. 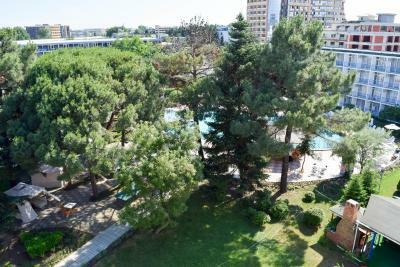 The location is central, a short distance to the beach. A city train runs in front of the hotel.